Visiting parks will certainly bring people, especially the children with many interesting and memorable experiences. Instead of visiting the familiar places such as museums, schools, zoos,… visiting parks give the children opportunities to frolic and act in a spacious and airy area, which best facilitate the physical and mental development of the children. Located on Nguyen Van Huyen Street, Nghia Do park is an ideal recreation, sport practice area for people living in this area. 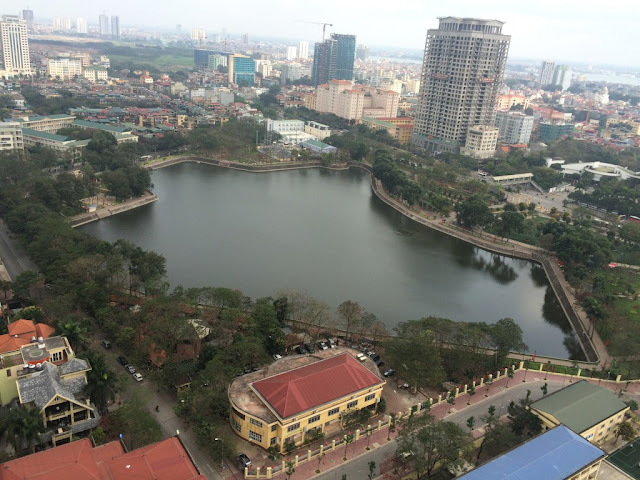 It is the harmonious combination of physical space and rest of Hanoi people. 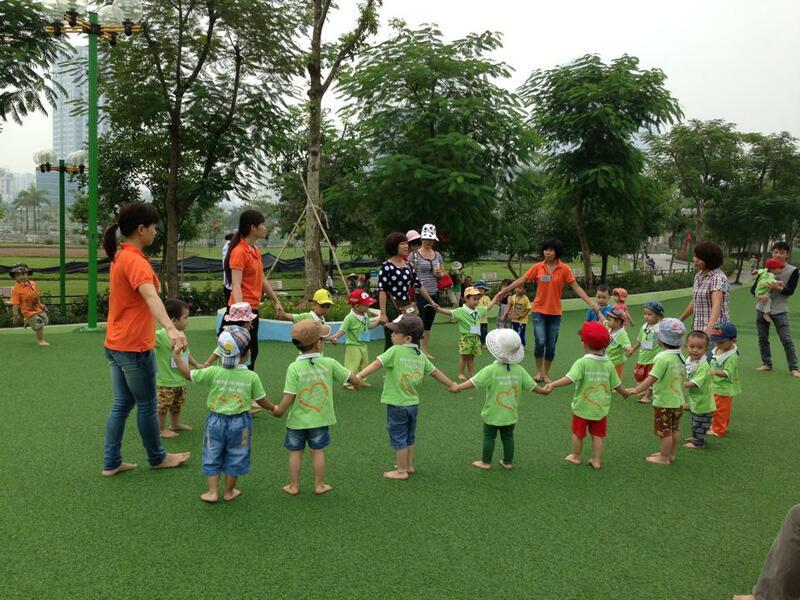 Nghia Do park is a meaningful place and meets the demand for entertainment, relaxation of all classes in society. 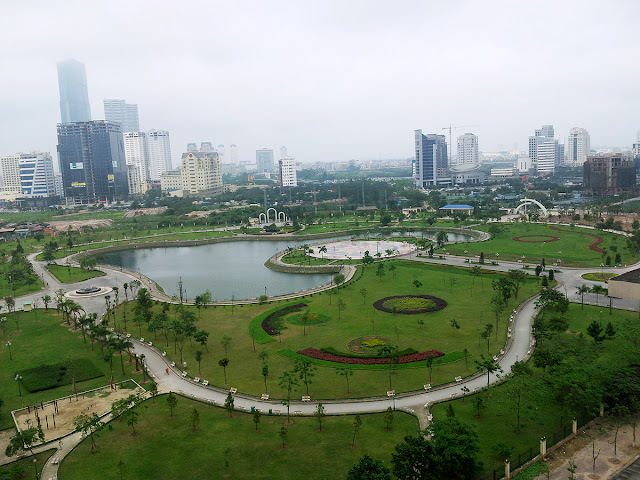 Built to commemorate the 50th anniversary of liberation of the capital, Nghia Do park has long been a familiar entertainment venue of young people. This is the park built in the combination of classic and modern style with many ancient trees providing shadow for people. Children's play area is equipped with many games like Ferris Wheel, single bar, double bar, swing, slide, climbing the ropes ... The recreation equipment are funded and installed by Japan. The whole play floor is carpeted by artificial grass. One of the outstanding features of this park is to allow people to fish in the lake and have a sport section invested by the foreigners. Currently, this park is opened free to serve people. 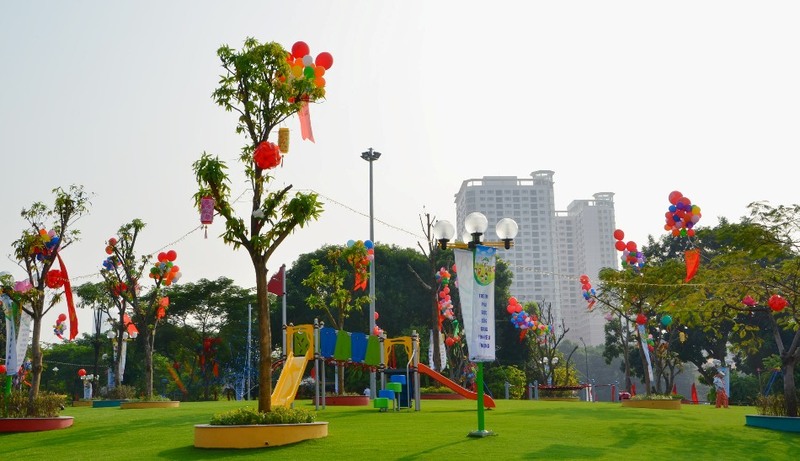 Located on Duy Tan Street, Dich Vong is a young park which was recently completed in 2009. The play ground in the park is rolled out grasses with the largest area in the country. This is a project of socializing sport, children's playground is covered by artificial grass in an area of 6500 m2 in total 9.7 ha of the park. This is also a play area which is invested with largest artificial grass cover throughout the country. 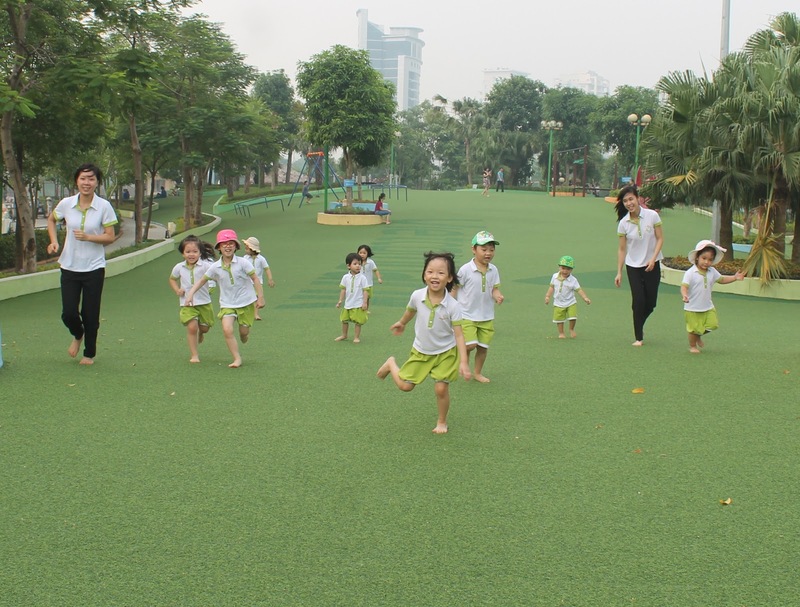 The community play area in the park was built with a total cost of about 8 billion VND, the majority of the cost of installation and completion were paid by the enterprises. Toys are arranged throughout the park, and all of were imported from Japan. Japanese entertainment supplies meet all the requirements of being durable, safe and suitable for children to take physical exercise. Located on Thanh Thai Street (Cau Giay District), Cau Giay park is considered the place attracting most young people because it is situated among the apartment buildings in the new urban area, many large universities, especially, it is open free for people to visit and have fun. What makes the attraction of Cau Giay park is the novelty and modern of the work items. In addition, children's play area with various attractive game is another attraction of this park. The new Ecological lake area of this park is also a suitable place for many people to do the exercise and get some fresh air. Cau Giay grass hill is built as a policy of Cau Giay District and people don’t have to pay any fees for activities in this area. Since being launched, the grass hill has attracted a huge amount of visitors coming to play, especially at weekends.